The new 2018 Volkswagen Passat is the ultimate family vehicle. If you aren’t familiar with this eye-catching midsize sedan, Brazos Valley Imports would be delighted to introduce you to one. It’s a great family car because of its advanced navigation and entertainment options, expanded rear legroom, and overall cabin comfort. Just because the Passat is an excellent family vehicle doesn’t mean that VW skimped on its power. We’re excited that the 2018 Passat comes standard with a robust 2.0L engine that generates 174 horsepower. Stop by Brazos Valley Imports convenient dealership near Bryan, Texas to test drive this capable VW today. The 2018 Passat has six distinct trim levels to consider, and lots of options. Let’s get started with the Passat S, which is anything but ordinary. The S sports automatic headlights, 16” Carolina alloy wheels, and a rear view camera system. The VW Passat R-Line has a unique appearance upgrade. Take a look at its front and rear bumpers and 19” inch Salvador alloy wheels.The SE model might surprise you with its power sunroof, blind spot monitor, keyless access, and push-button start. 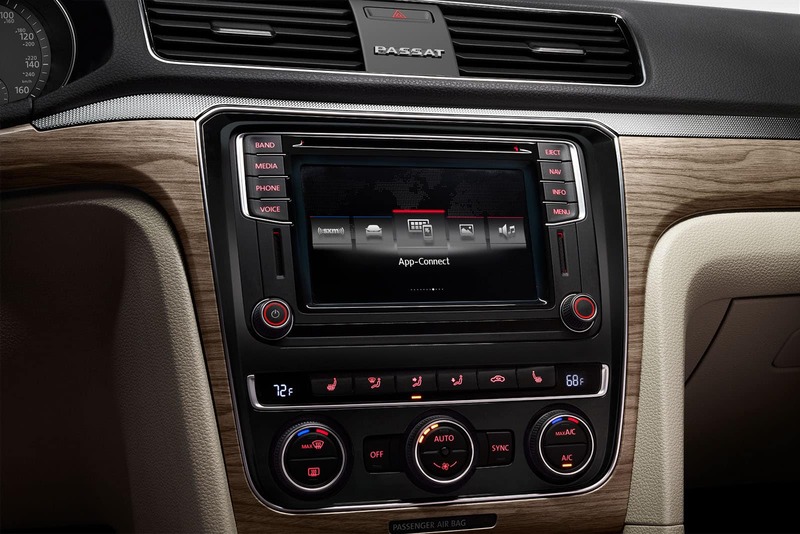 The Passat SE with Technology has a number of high-tech functions like Park Pilot, fun remote start, and a practical Discover Media touchscreen navigation system. Check out the sophisticated details on the SEL Premium trim, including a luxury Fender audio system, leather seating, and LED headlights. Last up, the V6 SEL Premium represents the best Passat Volkswagen has to offer. It has leather seating, a lane departure alert, and a thunderous 3.6L V6 engine. The 2018 Passat’s interior is spacious, tasteful, and versatile. You can seat five comfortably with the knowledge that there’s more than three feet of rear legroom for your passengers. Choose from Moonrock Grey, Titan Black, Cornsilk Beige, and (on select trims) Golden Oak Brown and Black color schemes. 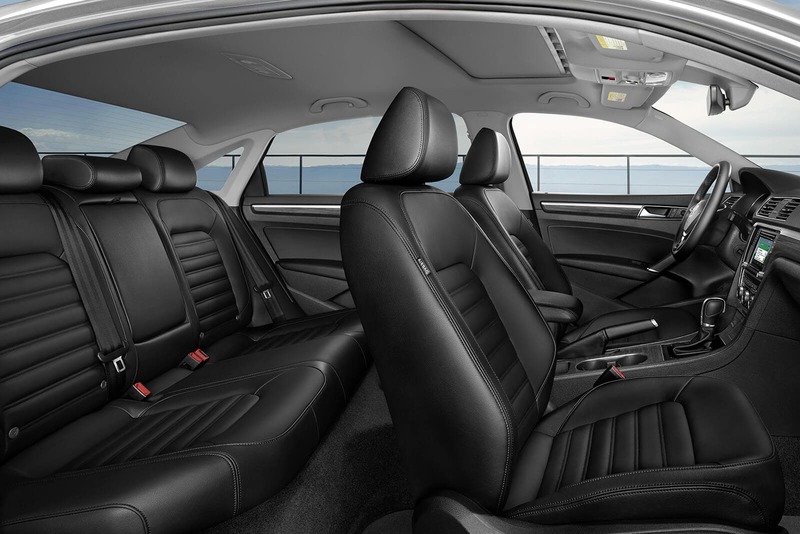 The interior seating can be customized in cloth, V-Tex Leatherette, or leather depending on the Passat model you select. These interiors coordinate nicely with the seven different exterior color choices. Nothing is more important to Volkswagen than the safety of its customers. The 2018 Passat was designed with this responsibility in mind. The Passat gives its drivers confidence because it has received a prestigious 5-star overall crash test rating from the National Highway Traffic Safety Association (NHTSA). 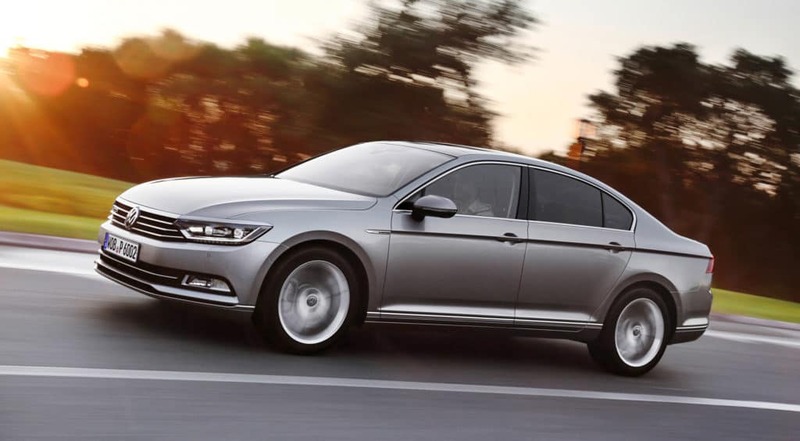 The 2018 Passat includes an automatic post-collision braking system, a tire pressure monitoring system (TPMS), and seven stability enhancing systems. VW has so much confidence in the Passat that they even include a 6 year/72,000 mile limited transferable warranty. Brazos Valley Imports supplies unique, capable, and reliable vehicles to the greater Houston area, including College Station, Cypress, Brenham, and Centerville. If you are in the market for a new or used auto, please give us an opportunity to earn your business. Our friendly associates are knowledgeable about our great selection of imported vehicles. 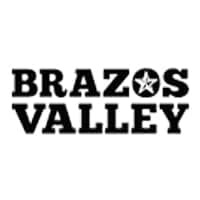 The Brazos Valley finance department specialists can connect you with a loan or financing options that fit your unique needs. Brazos Valley Imports is delighted to showcase the new 2018 Volkswagen Passat and hopes you’ll stop by our showroom soon to give one a spin.